Lindsey: Wasn't it you yourself that said just tonight..."It's only a game"? Ben: Oh, that's great. That's great. Pile it on. Yeah. Kick me when I'm down. That's great. Lindsey: It is just a game. Ben: Clearly, it's not just a game! If it was, then obviously I wouldn't care about it this much. Twenty-three years. Do you still care about anything you cared about 23 years ago? How about ten? How about five? Name me a single thing that you’ve cared about for 23 years. Lindsey: Yeah. No, um, there isn't actually anything I've wanted for 23 years...because 23 years ago, I was seven... and if I still wanted to marry Scott Baio, I would think that my life went terribly wrong. So I said I didn't think this movie was a huge box office hit...but do you know who I bet did like this movie? BBN. Big Blue Nation. Kentucky fans. I bet Kentucky fans liked this movie. 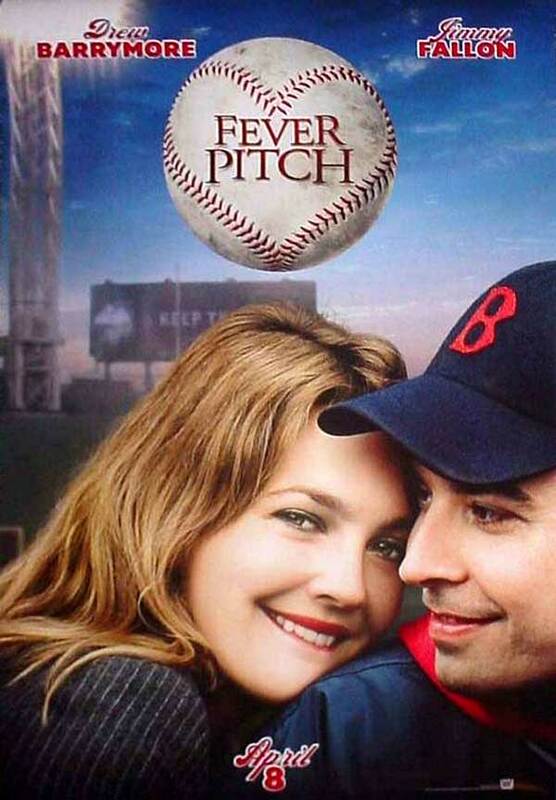 I bet lots of Kentucky fans identified with this movie. I'd actually be surprised if some Kentucky fans hadn't lived this out in some way, shape or form. BBN is a Nation of Bens surrounded by Lindseys who just don't get it. Because Kentucky Basketball is bigger than me. It's bigger than the actual University of Kentucky. It's bigger than the entire Bluegrass State. It's big enough to make people camp out for days for tickets to a PRACTICE in October. It's big enough to propel fans to drive 8 hours or 11 hours or 19 hours to make sure Kentucky has the most fans in the arena. It's big enough to make grown men call in post-game shows and cry talking about watching the boys cut the net last night. It's big enough to make a lawyer quit his practice to start a fan site/blog that has turned into one of the biggest UK sites ever (KSR Shoutout in case you didn't catch that). But that's what makes Kentucky fans so special. We are all united for this team. We love "our" Cats, because they are the Commonwealth's team. Even Coach Cal says he wanted to win this for the players and the fans. He gets it, and he's not a Kentucky boy. BBN has members in all 50 states, and lots of other countries. There are fans who have season tickets, and fans who have never seen them play. Most fans have Kentucky roots at some point on their family tree, and I am sure some are fans just because UK is a great team. And you know what, I'll take it. Anyone who wants to cheer with me will not be turned away! In October KSR founder Matt Jones wrote an article for Grantland about why UK was going to win it all this year. One reason began with this quote: In Kentucky, we care more about basketball than you do. In fact, we care more about basketball than you probably care about anything. As a Kentucky girl, a UK alum, and a proud member of BBN, I have to agree, and I wouldn't have it any other way. I love being part of something that is bigger than me. I love going to games and making friends with the people around me. I love watching a game in a bar or restaurant in Lexington and seeing 40 or 50 people yell at the TV with me. You can call us crazy, you can call us paranoid (aside: I for one do NOT think UPS was out to get us, but hey Kansas fans, Louisville fans, let's see UPS make a commercial with a montage of Davis blocks, Jones dunks and Miller threes that kept you from advancing and see if maybe it annoys you a little bit), you can call us whatever you want. Because when you still love something that you loved when you were five years old, nothing other people say is going to make you change your mind. This is beautiful, cuz. Well said. Every word is true and personifies how I feel. I started crying when the old man on KSR this morning called in and started crying. He just expressed what so many of us are feeling right now. Bleed Blue. For Life. News of our win was broadcast on the morning news in France, which was roughly 3AM for us. My father-in-law called us IN THE MIDDLE OF THE DAMN NIGHT to play the UK Fight Song over the phone and congratulate "us" on our win - like we had anything to do with it. He was so HAPPY for us, like we might as well have put that ball through the hoop with our own two hands! I was mad at first, because he woke me up, then I chuckled, then I've been thinking all day about how the BBN actually reaches around the world! So fun. And so special! GO BIG BLUE! I could read you all day long. 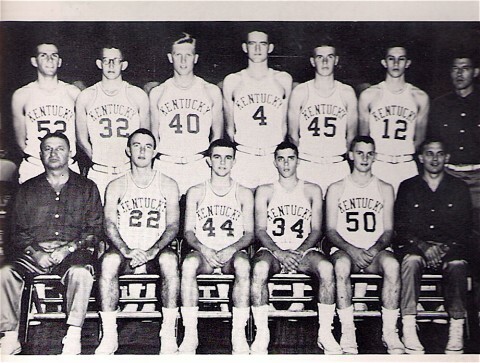 Not JUST because this post was about the BBN (of which I am so rabid a member). Not JUST because you are my sister and I want to be supportive. Its that I love the way you write! If you ever write a book, I will buy the very first five copies. Unless, of course, that book is about how you were tortured by your older brothers as a child, in which case I will take the first TEN, please!